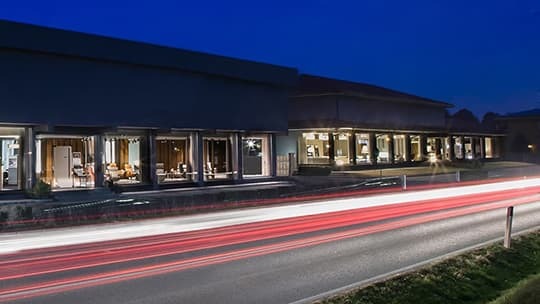 A story made of passion, family and furniture: La Cicala store was born 50 years ago, taking the place of the carpentry founded many years before by the Moltani brothers, specialised in the production of wardrobes, beds, nighstands and furnishing accessories for the sleeping area. After some years, the owners decided to widen the commercial activity at the expense of the productive compartment: the store started evolving, achieving new objectives and developping the displaying area. Today, the sons Massimo and Fabrizo lead the company, with the support of the cousins Andrea and Alberto. The family-run business promotes a direct relationship with clients and a stronger sense of reliability with regard to the owners; what's more, it ensures the best care and attention to the punctuality of every service offered by the company itself. High-quality of products and a modern style are the fil rouge which links every furnishing solution you can find in our store: kitchens, modular systems for the lounge, tables and chairs for the dining room, beds and wardrobes for the sleeping area, sofas and armchairs, accessories, children's bedrooms and bathroom furniture. We are always selecting for you the best brands in the field, with a great variety of solutions, both in terms of style and price. We are long-standing Poliform retailers, leader company between the main Made in Italy design brands. In our showroom, you will also find the upholstered furniture by Ditre Italia, kitchens by Arrital, Sangiacomo modular systems for the living room and the sleeping area, furnishing complements by Mogg, dining tables by Ozzio and Desalto, Clever bedrooms for children. La Cicala in Como offers a reliable and accurate service to the customers who asked for the assistance of our interior designers. 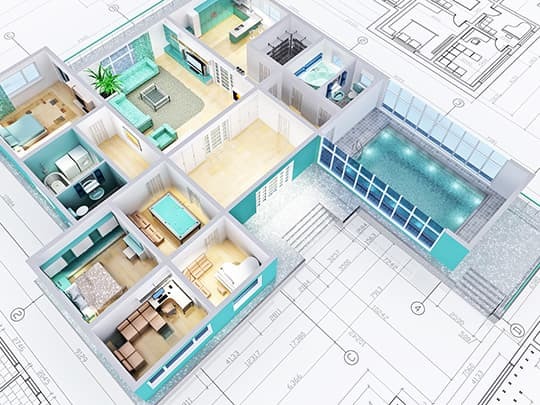 Fabrizio, the architect, will guide you through all the phases of your furnishing plan, provinding a strong support also with regard to the structural aspects of the interior architecture, in case you have to face a restructuring challenge. Therefore, you will receive lots of useful advice about the divison and organization of spaces, the choice of facings, the distribution of light spots all around your home. Andrea and Alberto, thanks to a great experience and an extensive know-how inherited by their parents, will manage the delivery and mounting phases, performed with best practice. We are always ready to assist our clients thanks to an efficient after-sales service, even when years have passed form the purchase. Last but not least, we study the best customized payment solutions, in order to let you furnish your home free from any concern.